Dig your clubs out of the attic and call up your regular foursome. Bully Pulpit is officially opening for the 2014 Season! 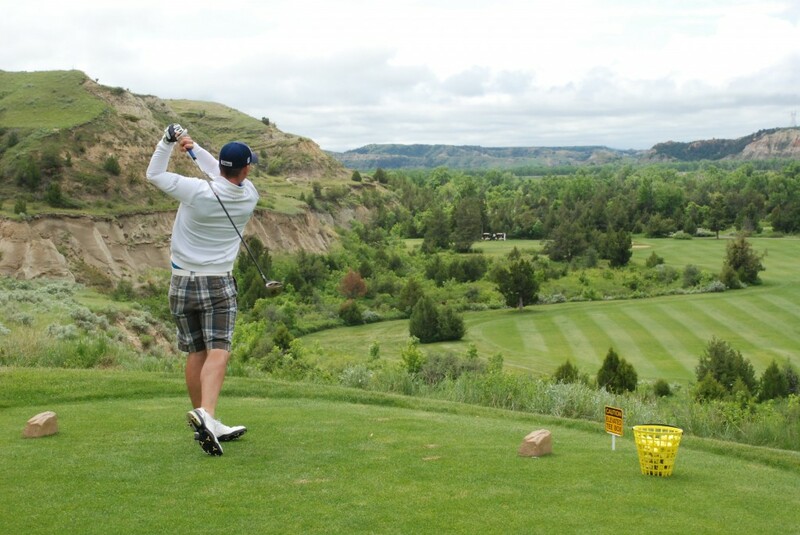 You can reserve your tee times NOW, for the entire season, at Medora.com or call 701-623-4653. 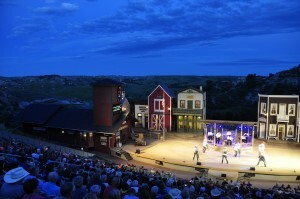 *Open date is weather permitting. Bully Pulpit made its first TV appearance this year in the new North Dakota Tourism ad campaign-and it tells a great story. After I watched it, I got to thinking about golf stories and how everybody has one. But before I show you the video, here’s one of my favorite golf stories. A Love Story: Medora and You. 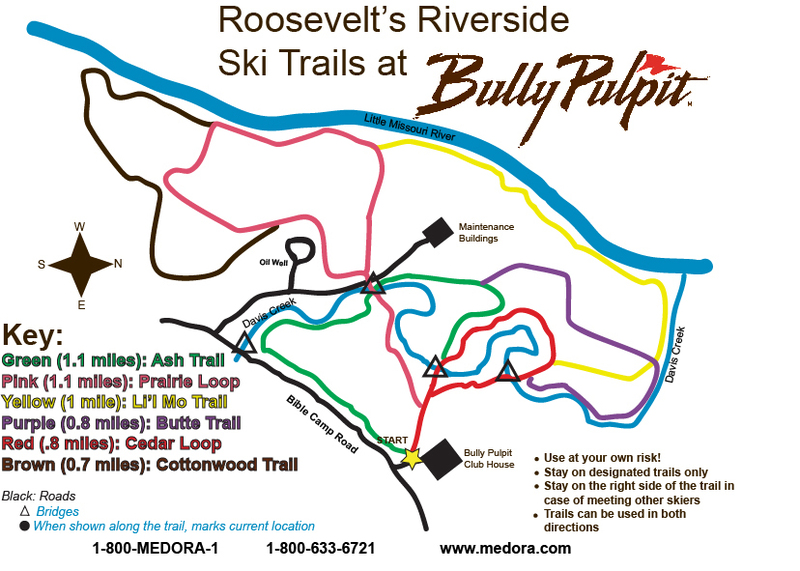 (MEDORA, ND) – Bully Pulpit Golf Course announced today that as of Thursday, September 19th, at 12:30 p.m., more rounds had been played to date in 2013 than in all of 2012 – and the course is on pace to set an all-time record of 17,000 rounds-played before the season is out. During the entirety of the 2012 season, 15,871 rounds were played at Bully Pulpit and it’s year of record came during its inaugural season in 2004, when just over 16,000 rounds were played. The 2013 season is set to surpass both substantially. “The course is the best it’s ever been this year. And the phenomenal number of players we’re seeing is a testament to that.” Moen continues. “We’re seeing an uptick in play from Western North Dakota, of course, but we’re also seeing more players from the Twin Cities area, a region we focused on with our marketing campaign this year. Bully Pulpit’s last day of play is scheduled for October 27th, 2013. 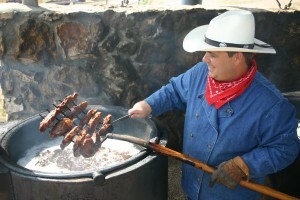 Bully Pulpit Golf Course is an 18-hole venue built right into the rugged North Dakota Badlands. The course’s first year of play was in 2004, with 2013 marking its tenth year of operation by the Theodore Roosevelt Medora Foundation. Since opening, Bully Pulpit has been honored with a number of national accolades including being named one of America’s Top 100 Public Course by Golf Digest in 2013. The course features five different tees, with total yardage ranging from a comfortable 4,750 total yards from the forward tees, to a challenging 7,166 at the tips. 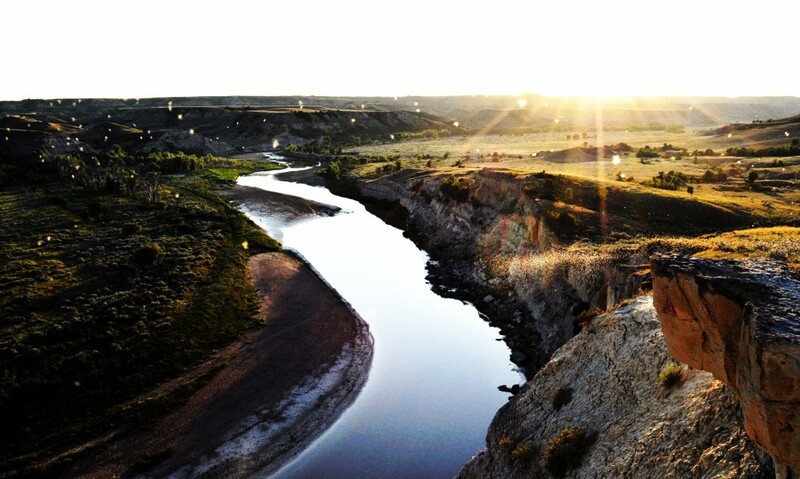 Bully Pulpit’s signature holes – number 14, 15, and 16 – have been dubbed “The Badlands Holes” and showcase the Bully Pulpit experience best. From the time players begin their assent to the tee box of number 14, to their last putt on the 16th green, they’ve navigated an up-and-down elevation change of nearly 500 vertical feet, played the most stark contrasts of greens-and-native-rough the course has to offer, and enjoyed a view of the North Dakota Badlands unsurpassed anywhere. 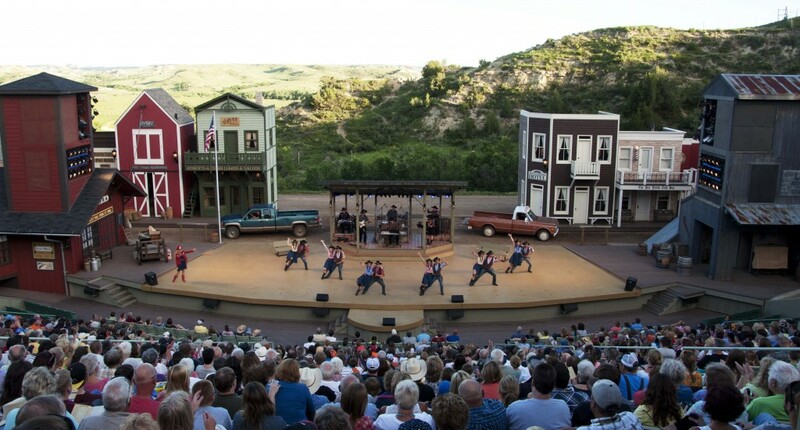 It’s this three-hole trifecta that has attracted golf enthusiasts from 34 U.S. states and numerous countries around the world to Medora’s Bully Pulpit Golf Course. Managers say inquiries by golfers from across the U.S. point to another outstanding year. 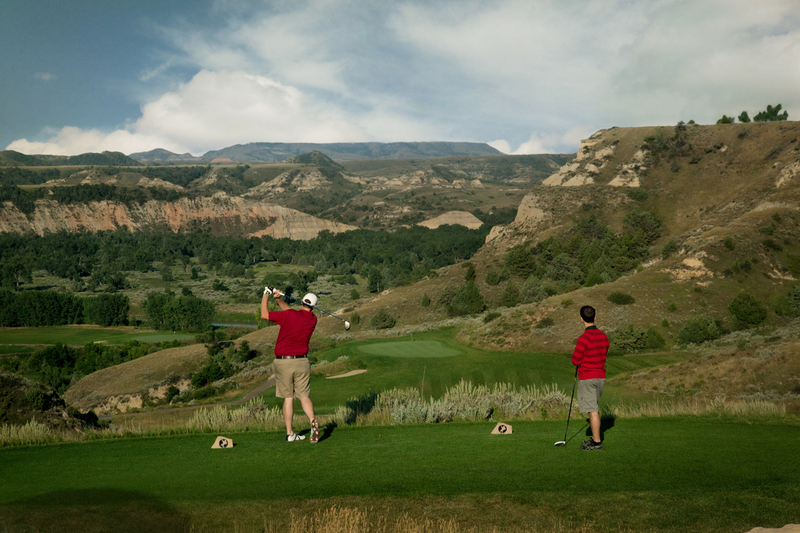 Medora’s Bully Pulpit Golf Course will open for the 2013 season on April 27. Casey Moen, Bully Pulpit’s Head Golf Professional, says the course is ready for what could be a record year. Moen says inquiries from across the nation have increased since February when Golf Digest named the course as one of the Top 100 Golf Courses for 2013. The magazine also gave the course a “Best in State” ranking. “Bully Pulpit was already well-known among serious golfers across the country but the Golf Digest ranking has golfers, who have not yet visited the course, saying they need to experience the course for themselves,” says Moen.